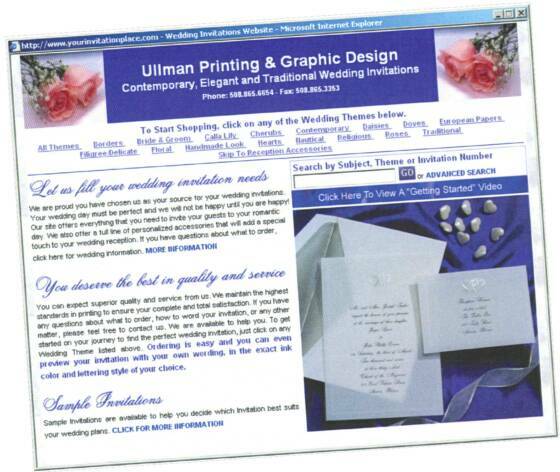 Choose from a large collection of beautiful invitations. You will be able to see an instant color proof of your invitation, with your copy and your ink color in the type style of your choice. Should you wish to change your invitation, type style or color selection, simply go back, make changes and proof your invitation - again and again - until you are completely satisfied. you find the perfect invitation for your special day. proof your invitation and submit the order to us.